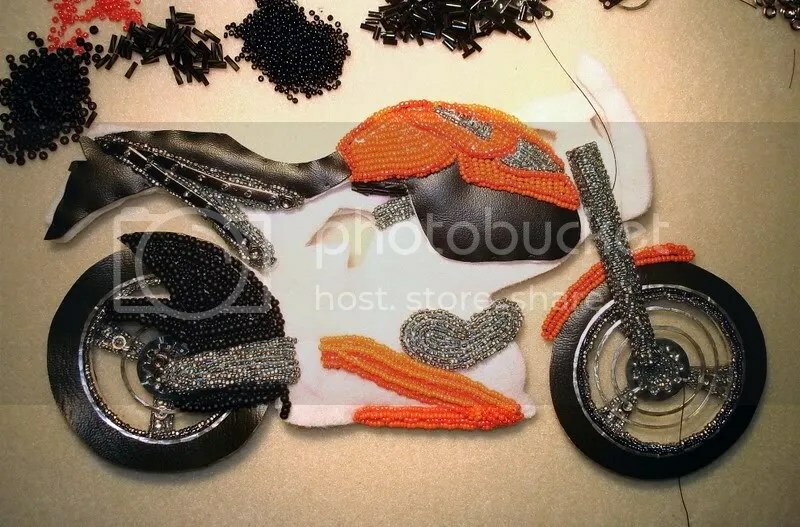 The fact that I haven’t tackled the issue of putting my beaded motorcycle together has been bothering me. So, the other day, I began working on the fork tube which will eventually link the motorcycle’s front wheel to the front of the beaded frame. I’m still not exactly sure how I will make it all work, but at least it’s starting to look like a bike! Semi-beaded Buell motorcycle. Bead embroidery on felt. 10″wide x 6″. Beadwork in progress. Click to enlarge. >Looking good. We saw this brilliant French artist yesterday who makes/covers furniture out of rope. It’s quite magical and extremely elegant. I was wondering when I saw the fork at first if you were thinking of actually doing the same thing with cutlery. Then I realised it was for your Bueli. >That looks like a bike I’d want!You rock! 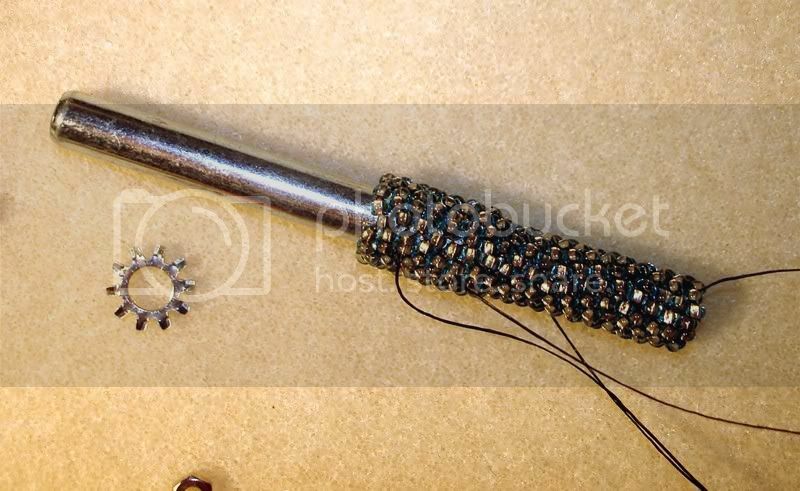 >I’m glad you beaded the fork – it definitely needed beads. The whole thing is going to be some kind of wonderful. Now, if you could only make your living doing this…. >Good result for the wheel fork thing-y! 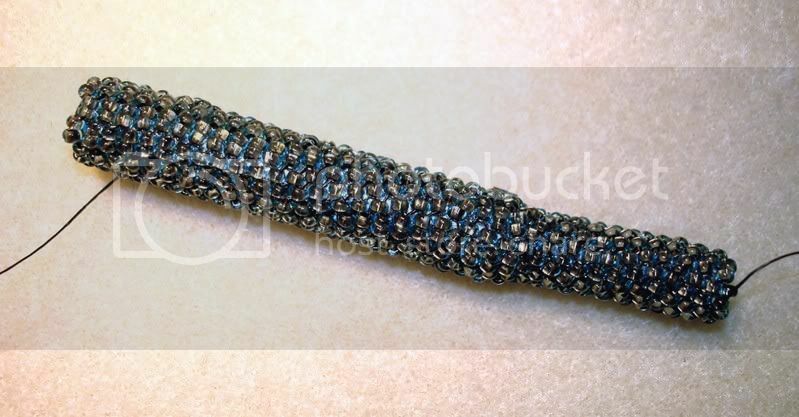 I like it beaded. >It is definitely looking like a bike – fantastic! >You are my Beading-Hero! This is fan-freaking-tastic! this is so awesome there are no words. You take beading to a whole other level. You have my respect and admiration. Wow! >I had no idea what a fork tube was before this post. I hope that question comes up on Jeopardy or Trivial Pursuit sometime. The bike is looking great!